A Massachusetts construction accident has injured a 41-year-old steelworker, the Patriot Ledger reported. The man was injured in a fall on Monday afternoon at the Rockland High School expansion project. Our Massachusetts workers’ compensation lawyers frequently report on the dangers of falls. The Bureau of Labor Statistics reports falls are a leading cause of serious and fatal work accidents in Boston and elsewhere. Firefighters and emergency medical personnel responded after receiving a 911 call; the Occupational Safety & Health Administration was en route to investigate. The fire chief reported the worker fell about 30 feet — or three stories — from an upper beam. He reportedly hit another beam on the way down, before landing in the dirt below. His injuries were potentially life threatening. The renovations are part of an $86 million project that includes construction of a new middle school. The U.S. Department of Labor has been particularly vigilant this spring when it comes to fall protection safety — issuing new rules and guidelines for roofers and residential construction sites. 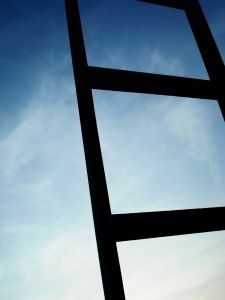 More than 800 employees are killed each year on average in fall accidents, including fatal falls to a lower level (85 percent), fatal falls from roofs and falls from ladders. Under federal work-safety guidelines, fall protection must be provided to construction workers at heights of six feet or greater; the regulations require fall protection at heights greater than four feet in general industry and five feet in the maritime industry. Acceptable fall protection systems can include guardrails, safety nets, and personal fall protection systems. Using warning lines, control zones, and designated areas can also limit the number of workers exposed to injuries resulting from a fall. When personal fall protection systems are being used, particular attention must be given to attachment points and making sure that employees understand how to properly wear and use the equipment. If you have been injured in a Boston construction accident contact Massachusetts Workers’ Compensation Lawyer Jeffrey S. Glassman for a free and confidential appointment to discuss your rights. Call 877-617-5333.